I saw a technique for making chocolate chip cookie cups on Taste of Home a while ago, and I thought it would be fun to make them for Nathaniel's birthday. It's ridiculously easy, and they were a big hit! 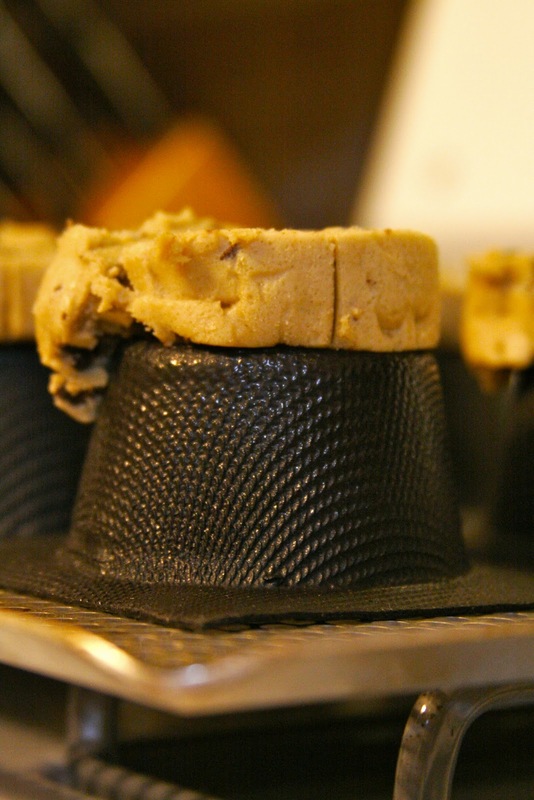 Take a roll of refrigerated cookie dough ... I chose Nestle Tollhouse. Slice it into even circles and place the dough on top of an inverted muffin pan. Note: I forgot to grease the pan the first time around, and the cookie cups crumbled when I took them off the pan. I greased them the second time, and they came off really easily. I'm not sure how thick your slices are really supposed to be ... I made mine pretty thick. I wouldn't slice them too thinly, because I think the cup would be too brittle if you did that. I followed the instructions on the cookie package for baking them ... I think it was 350 for 10 to 12 minutes or something like that. Since I wasn't baking them the traditional way, I kept a close eye on them to make sure they didn't burn. When they came out of the oven, they looked and smelled great! Some of them came out better than others ... but the ones that weren't perfect were nice for snacking. Even if they weren't shaped perfectly, they were fine for our purposes, which was to hold a scoop of ice cream. I had purchased a few fun toppings so the kids could decorate their ice cream. I think they came out really well! They didn't decorate them as much as I thought they might, which was fine. 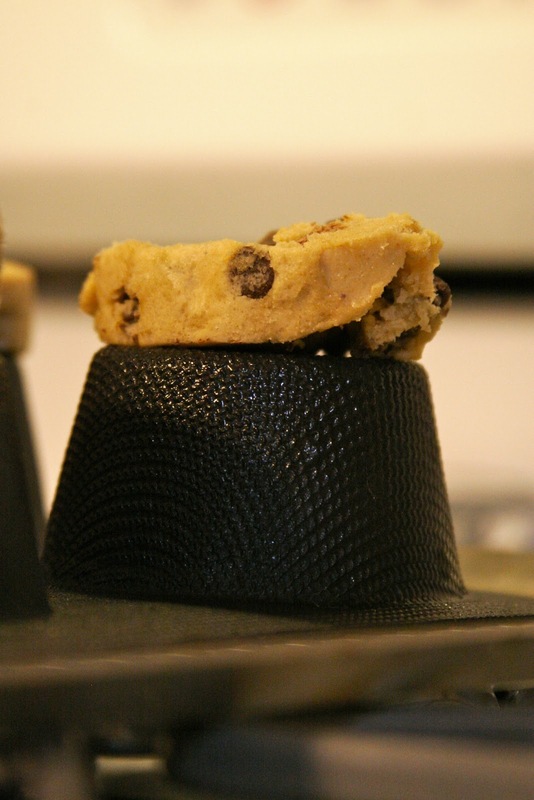 For a quick, easy, fun recipe, I highly recommend the cookie cups! I just made these for my boys last night. My oh my, how delicous!